It’s easy to draw conclusions about a tailor from their surroundings. 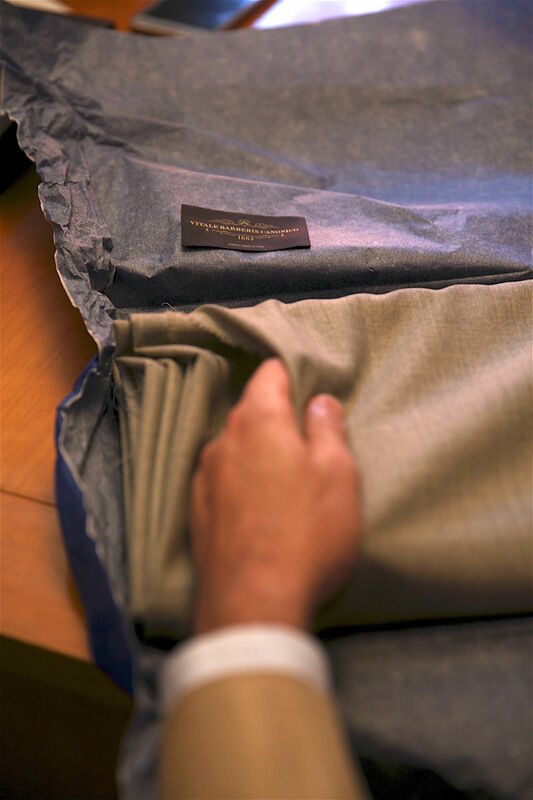 The big houses of Savile Row certainly benefit from this, in particular those with wonderful interiors like Huntsman or Anderson & Sheppard. But they can be misleading. Sartoria Cornacchia, which I visited last year during a trip to the south-east of Italy, is on the first floor of a modern block just outside the centre of town. 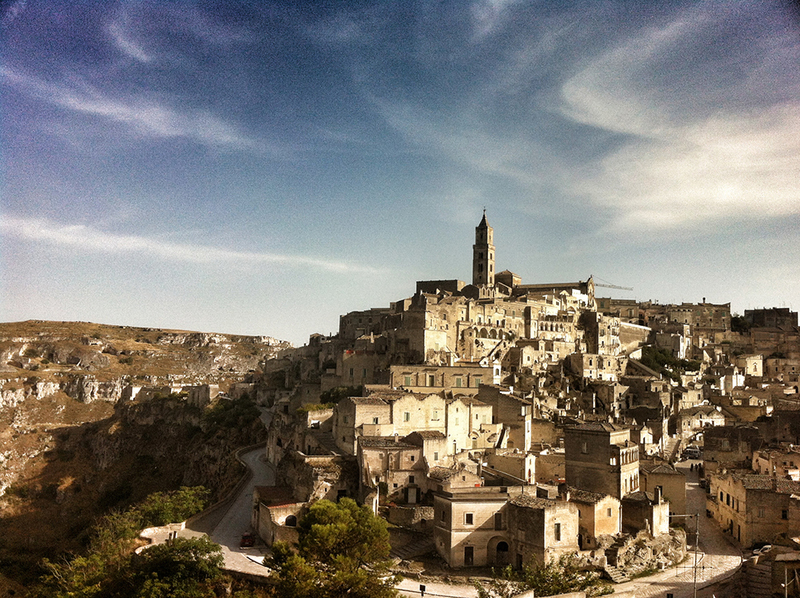 The town is Altamura, a beautiful place with stone-paved streets and a soaring cathedral. It sits on one side of a hill, overlooking the Murceau plateau down to Bari and the sea. The day we visited it was hot - almost 40 degrees - and the town was a lovely shelter, with the cool stone and shaded streets. Now, however, people are gradually moving back. 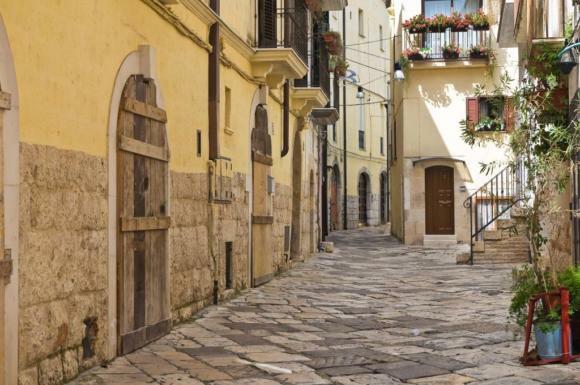 “Everyone is rediscovering the appeal of living in such a historic place, and the beauty of it - even if you can’t get the same conveniences,” he says. The block Cornacchia are now in is not historic. 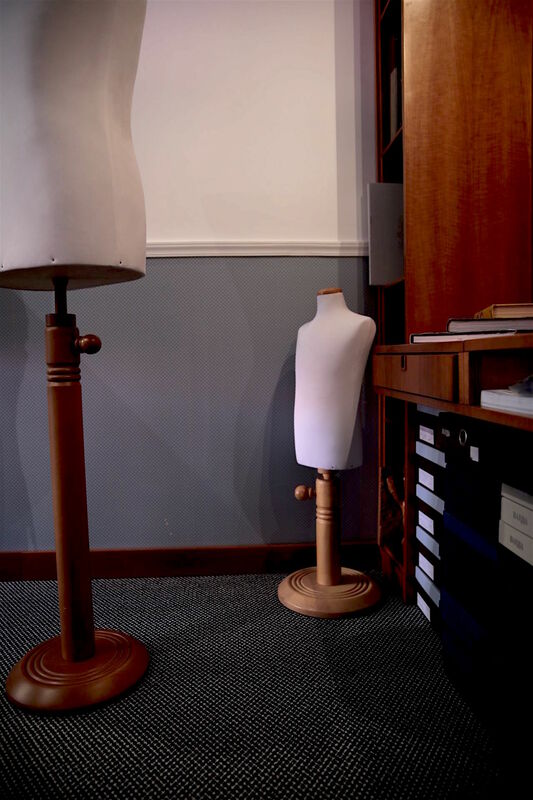 But inside everything is dense with tailoring, its inspiration and its references. 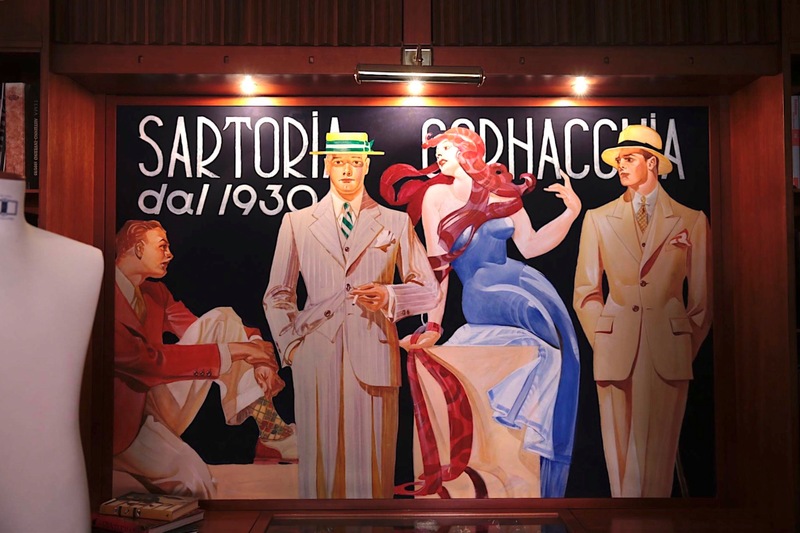 Across one wall is a large mural (pictured top) taken from dress of the 1920s and 1930s - all cream high-waisted trousers, boaters and panama hats. And around the rest of the room are other pictures, both original compositions and old reproductions, demonstrating the kind of things that keep Nicola and his family inspired. Like most Italian tailors, this is a family business with one cutter, Nicola (above). Nicola’s wife Maria runs the business and her, Nicola and their daughters do different aspects of the making. Inevitably, the daughters also speak the best English. The house was founded by Nicola’s uncle in 1930 - and he took over (also renaming it after himself) when the uncle passed away. 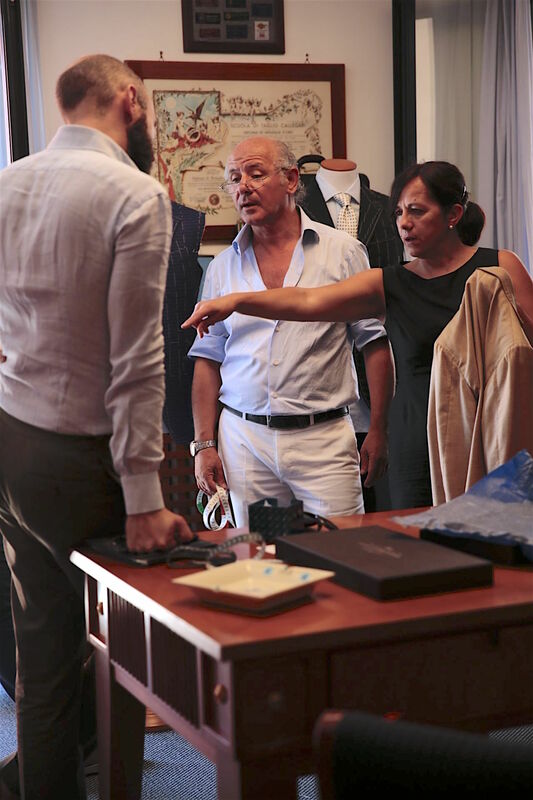 Francesco and Simone at Vitale Barberis Canonico put me on to Cornacchia (as well as De Chiara in Bari) and said I should visit when I was in the area. I have to say I was impressed, both at the quality of the work and the house designs. 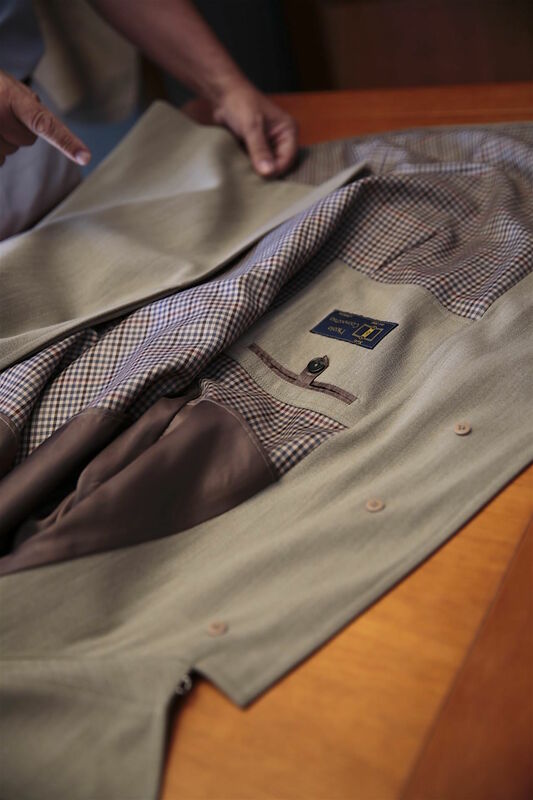 Cornacchia make quite a lot of bespoke raincoats, for example (above), and the lines of the double-breasted versions were appealing - including details like a slit just above the patch pocket (the combination of which they called a ‘Milanese’ pocket). 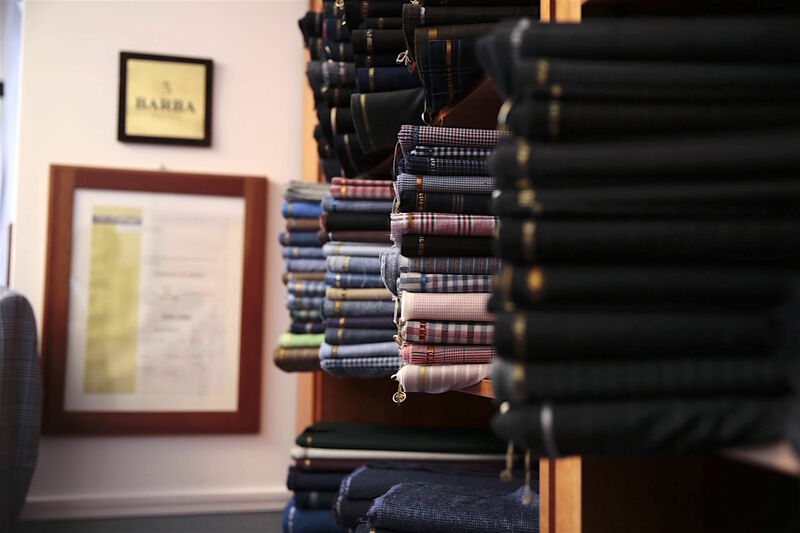 Often smaller, regional tailors like this do offer a broad range of prices and product, because they need to cater to different tastes and incomes to survive. But Cornacchia have just the one quality level, and that is on a par with any Neapolitan I've used. 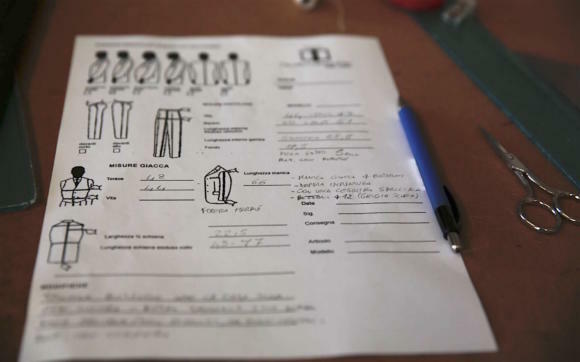 VBC are trying to help these small tailors travel abroad, and Cornacchia are looking to London as a result, as well as elsewhere around Italy. I’ve wanted a pale-grey summer suit for a while, and I’m a big fan of the VBC high-twists. My Sartoria Ciardi suit was from the same family and has performed well. This light grey is a two-ply, where the Ciardi was four - which will make it much better for summer. VBC are unusual among Italian mills in producing high twists like this with relatively coarse fibres - here 21 micron. And compared to English mills, they often have a better selection of warmer or brown-tinged greys. I'll show more images of the cloth in subsequent fittings, but it's VBC code 595 in their Rustic Tropical range - also available in the Draper's bunch Ascot 2 ply. The Cornacchia style is fairly standard for the south of Italy, with a lightweight chest canvas, thin pad, and natural (though normally not spalla camicia) shoulder. After the fitting, the Cornacchia family kindly gave my wife and I a tour of Altamura, finishing up at a historic bakery that dated back to the beginning of the seventeenth century. Altamura bread is famous around Italy, and has EU protected status - requiring it to be made with certain wheat and water. The oven we visited was vast, made of stone like everything around it, and served bread with simple olive oil (also big in the area) or tomatoes. 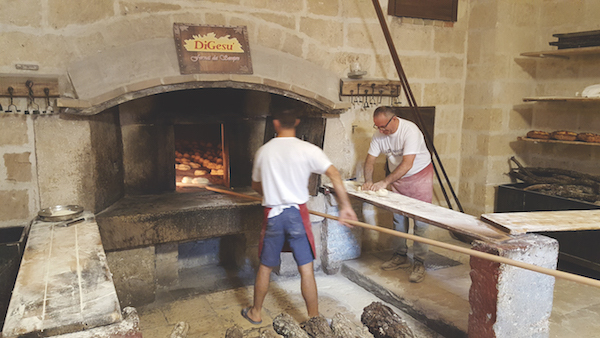 The bread is supposed to get its flavour from the local stones of the oven itself. Loving the local bread is not a great reason for buying a suit. But I am hoping I like the suit as much as I liked the town and the cuisine, to give me an excuse to go back. And maybe this time take the children. You can follow the discussion on Nicola Cornacchia: Bread and murals in Puglia by entering your email address in the box below. You will then receive an email every time a new comment is added. These will also contain a link to a page where you can stop the alerts, and remove all of your related data from the site. I really do not like these ads placed in the middle of articles, of which there are several. It makes the page look very messy and some of the tat being offered, well, it is pretty ridiculous and is certainly not in keeping with the content… It is actually putting me off reading. This is an error and will be fixed very quickly…. I notice reading today’s article that there are advertisements interspersed throughout the text. I realise that you need to make a living from PS; all the same they’re rather unsightly (compared to the classier sponsors’ space on the right column). Perhaps you could offer a “reading view” which allows (at least on iPhone) to see only bare content ie text & photos? Best of luck with PS’ evolution. This is an error and will be fixed very quickly! Ads will remain just on the right side! Thank God! If I saw another laser eye surgery offer I literally would have screamed. Yes, that was pretty much the antithesis of the whole commercial approach of the site. Seems to be fixed now. Scary few minutes. yeah it looks fixed now – love the post! The other day I wanted to reread your ‘Tailors I Have Known’ post but the link seems broken. Thanks for the website, it’s a pleasure to read it! actually i think i was mistaken, it’s more like 30 grams (per square meter)=1 ounce (per square yard). does that sound right? Great article. 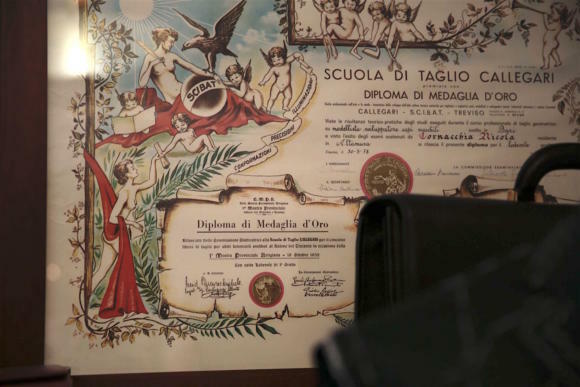 I stopped going to a famous house in Milano years ago: its prices are ridiculous although the end product is of the highest quality. 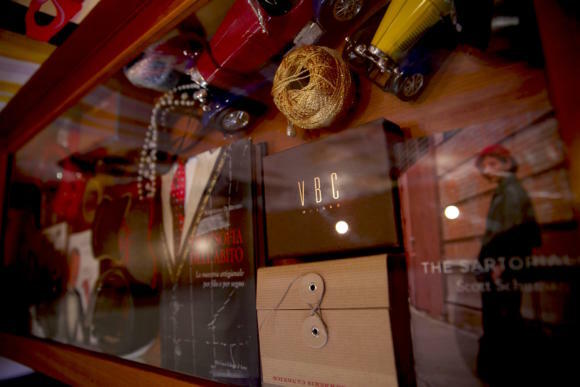 I like very much my small tailor-shop in Chicago (my wallet does too). 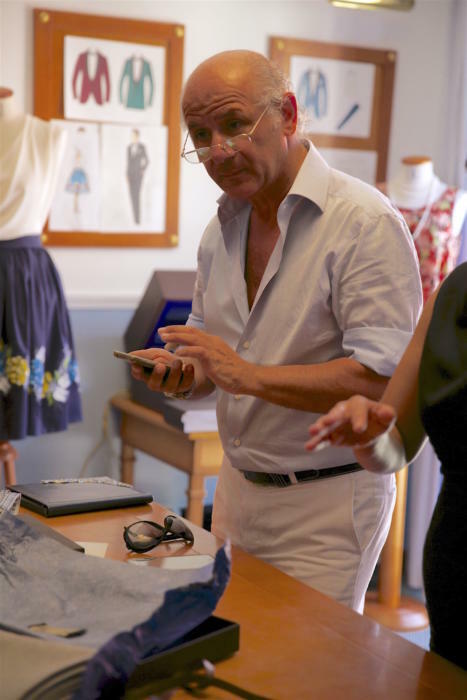 My cousins and friends don’t notice the difference to the point that often I have to remind them that I am no longer using the Milanese “house” or any other famous tailor. Unfortunately, he is retiring in January. I have one question though: which is the starting price of De Chiara in Bari? 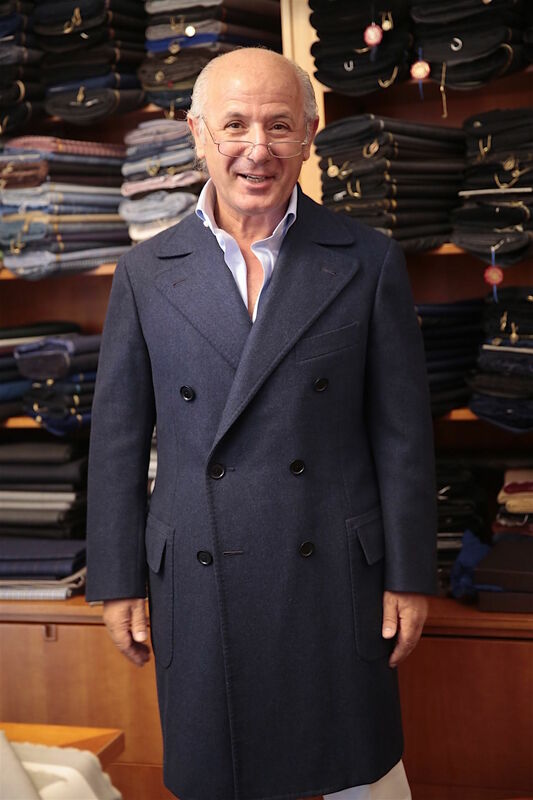 I may try him, since I have always been intrigued by the good looking “pugliese” suits and jackets. Thank you Simon. I already sent them an email. I will let this forum know their answer. Has De Chiara returned your email with a price? Do they also offer the drape cut or they can only offer the typical southern Italian cut? Lovely to see you could take your wife on this visit and maybe the children on another. I imagine it must be particularly satisfying to combine your family life, sartorial passion and business together. If not every fabrics are high twist, the latter must have a drawback. Is it that they do not move nicely? Besides, does a dry high twist last longer and keeps its shape better than a soft one? That’s excellent value, fingers crossed for a good outcome and a London visit. This looks really interesting, and I do hope they come to London. By the way, with apologies for the pedantry, could you please correct your grammar (…”gave my wife and I”… is the sort of faux pas committed by Prince William and you went to Oxford, not St. Andrew’s). why is it that a two-ply is better for summer than a four-ply? Is it not, more a matter of high-twist that makes it more summer appropriate? It’s obviously mostly experience, and I know you’ve written posts on this very subject, but anyway how do you gauge quality, what do you look for, and in this particular instance what enables you to say that their work is as good than than the Neapolitans you’ve used before? Also, could you elaborate on the shoulder being natural but not spalla camicia? Good question. The quality point is largely about make and fit, but given I haven’t had anything made by them yet, I’m really just talking about make. So first of all, checking nothing is done by machine – that this is true bespoke. 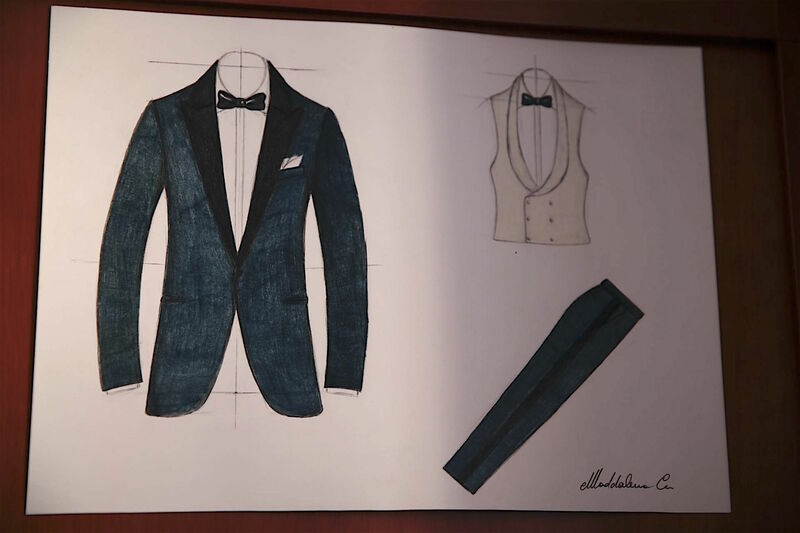 So hand-padded chest and lapel, etc. Then checking how much handwork is done around the jacket, and the precision of it – you’re looking for small, neat stitches, and observing whether, for example, the lining is attached by hand all the way up the facing on the inside. 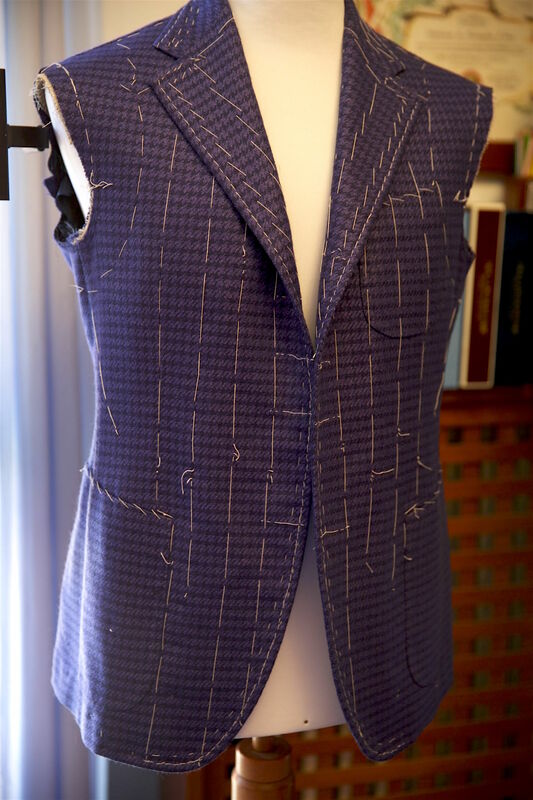 In the picture with the blue/black houndstooth jacket, that white stuff popping out at the top part of the armhole, is it the thin shoulder pad you are referring to? Are the shoulder pads they use that thin? I am trying to visually understand what is meant with thin or little and medium padding and so on. I look forward to hearing more about your pale grey summer suit!